Professor Paul Boon (l) and project leader Rob Mestrom. Photo: Bart van Overbeeke. 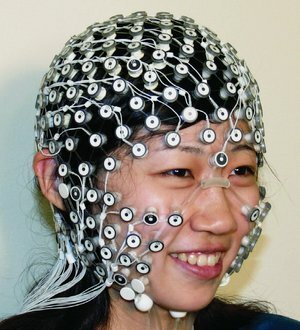 The HD EEG research instrument from Philips. Image: Philips. The first step in the research project is the development of a personalized calculation model to accurately reconstruct the epileptic focus. The researchers will then determine the stimulation parameters to achieve the desired focus of the stimulation. Then they will look at how they can best measure the effect of stimulation. The results will gradually be applied in clinical trials. Two PhD students and a postdoc will be appointed for the project. The research, with a budget of 1.9 million euros, is part of Eindhoven MedTech Innovation Center (e/MTIC), a broad research collaboration between TU/e, Kempenhaeghe and Philips, among others. Last year, the efficacy of non-invasive brain stimulation was questioned in the leading scientific journal Cell. In a study using measurements in the brains of recently deceased subjects, most of the electrical stimuli did not reach the intended area at all. Paul Boon: "Our research will enable us to answer the question of whether it works, and we will show you how you can apply this in a personalized way to focal epilepsy." Professor Paul Boon. Photo: Bart van Overbeeke. 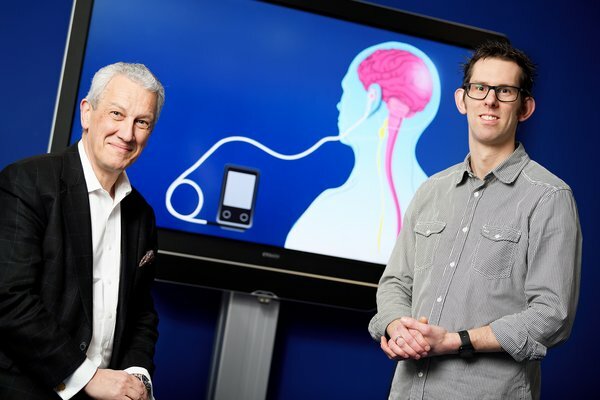 The start of the PerStim project coincides with the appointment of Paul Boon as part-time professor at Eindhoven University of Technology in the Neuromodulation chair. Boon is a neurologist, head of the neurology department at the University Hospital and since 2002 Professor of Neurology in Gent. 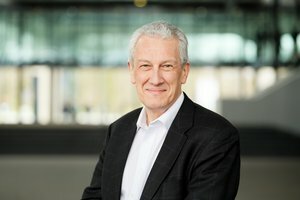 He was director of research and development at Kempenhaeghe for twenty years and has been a strategic advisor to the board of directors since 2018. His appointment stems from years of collaboration and from an agreement signed in 2016 in the presence of Mark Rutte and Geert Bourgeois, the prime ministers of the Netherlands and Flanders, for research into brain ageing. In this context, Gent University, Gent University Hospital, Eindhoven University of Technology and Kempenhaeghe established the intention to collaborate on research into brain ageing. The appointment of Boon in Eindhoven, as of February 1st, is being financed by the Epilepsy Fund.